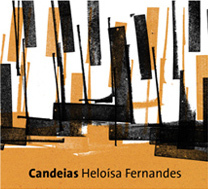 In 2008, Heloísa Fernandes organized the project Melodias do Brasil  Indentidade e Transformação (Melodies of Brazil  Identity and Transformation). For twelve months she studied the research of Mario de Andrade and his colleagues who had documented Brazilian folkloric melodies in the years 1936 to 1938. They transcribed 570 melodies from all parts of the country, and published them in the first edited material about Brazilian folklore. Andrade believed that Brazilian composers could find the soul of Brazil in the melodies of its people, and that these melodies could be inspirations to create new works. His collection included candomblé, maracatú, cateretê, samba, toada, and more. Fernandes chose a group of these melodies to be the spirits of new compositions. Their transformation into new works surprise people because they are not typical of the way Brazilian folklore is treated by today's musicians. Rather than emulating strong colors and pulse, Fernandes created a delicate and introspective world.